Panjim, March 17: With the sudden demise of Goa Chief Minister Manohar Parrikar due to pancreatic cancer on Sunday, the state board of Secondary and Higher Secondary Education has postponed the HSSC exam in Banking, Computer Science, Logic and Cooperation scheduled for Monday. According to the new schedule, the exams would be conducted on March 29, 2019. Earlier, the state government had announced that it would observe seven-day mourning throughout Goa from March 18-March 24, both days inclusive. Along with this, all the state government offices, local autonomous bodies, public sector undertakings, all educational institutions including aided institutions shall remain closed on March 18. 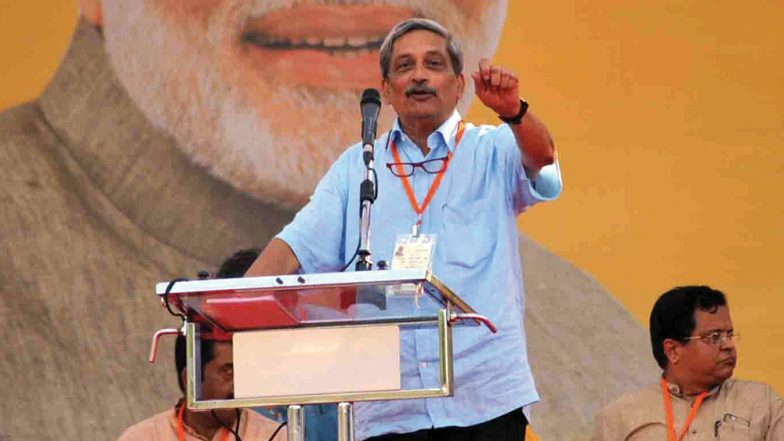 Manohar Parrikar Death: Goa Govt Announces 7-Day Mourning, All Public Offices to Remain Closed on March 18. The central government too had announced that national mourning would be observed on March 18, Monday, following the demise of Goa Chief Minister Manohar Parrikar on Sunday. A state funeral will be accorded to Parrikar. The National Flag will fly at half-mast in the National Capital, capitals of states and union territories.